Highly anticipated: Mass production of 7nm chips using EUV allows for cost reductions while also resulting in improved performance and significantly lower power consumption. Samsung is ramping up production of its latest 7nm Low Power Plus process based on EUV to deliver on its promises. 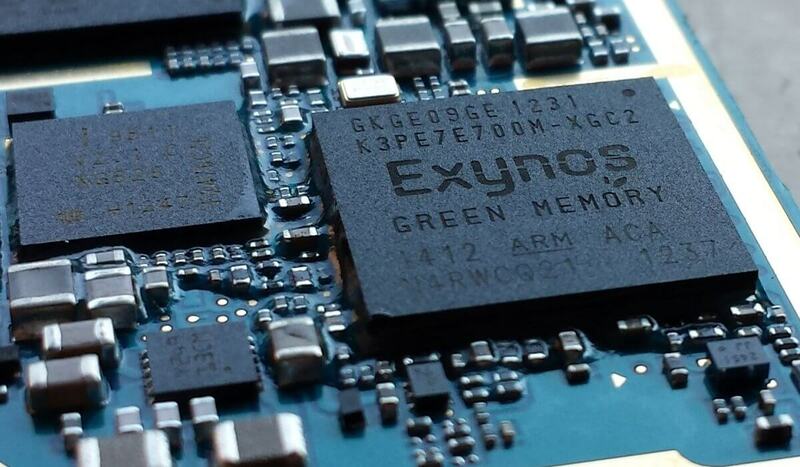 Unlike TSMC, Samsung is not in the business of being a pure-play foundry. There are thousands of semiconductor components designed and built completely in-house by Samsung. By completing development of the 7LPP process using EUV, Samsung says that they can provide "customers with a definite path to 3nm." Samsung is now theoretically a few months ahead of TSMC in terms of manufacturing technologies. TSMC does not expect to have 7nm EUV ready until closer to the middle of 2019. Previously, both Samsung and TSMC have been using 193nm wavelengths to etch silicon wafers. Using EUV, the 13.5nm wavelength allows for only a single mask to be used as opposed to up to four separate masks required by deep ultraviolet lithography. Compared to Samsung's 10nm FinFET technology, the newer 7LPP process simplifies manufacturing with a reduced number of layers. Aside from improved yields, Samsung is boasting of 20 percent higher performance with up to 50 percent less power consumption. A 40 percent increase in area efficiency is also a result of the transistor shrink. One of the other benefits of using EUV is that defects can be detected earlier on in the fabrication process. Samsung has created its own proprietary inspection tools that allow for wafers to be corrected or discarded appropriately without wasting additional time and money on material that will not produce usable chips. The first wave of 7nm chips made using EUV will be rolling out of Samsung's S3 Fab in Hwaseong, Korea. A second line for 7LPP is already planned to be operational by 2020 for customers that need very high-volume manufacturing.